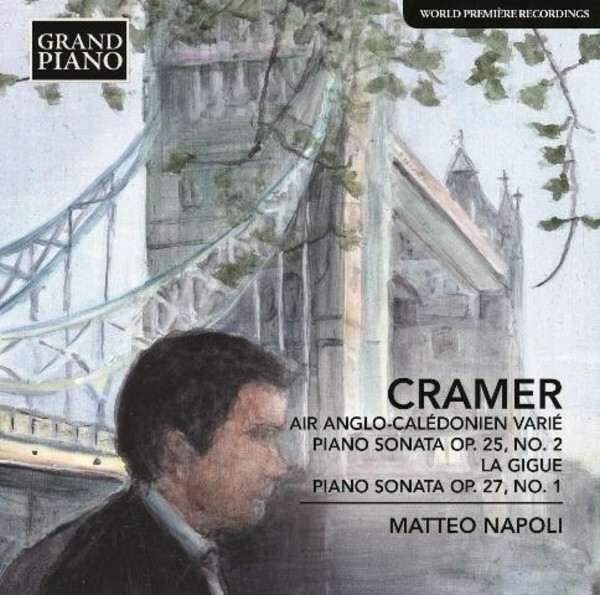 Johann Baptist Cramer made his name in London and Europe as one of the leading pianists of the day. His virtuoso skills at the keyboard can be witnessed in the florid and playful Variations on an Anglo-Caledonian Air and the ebullient Sonata Op.25 No.2. Beginning with an operatic slow introduction marked Patetico e lento, followed by a dramatic Allegro, the Sonata Op.27 No.1 anticipates Beethoven in its emotional range. Matteo Napoli is an honours graduate of the Giordano Conservatory (Foggia). Early in his career he captured worldwide attention, winning many competitions, including First Prize in the International Liszt Competition at Lucca in 1986. He has performed in Europe, as well as in New York, Mexico City, S�o Paolo, Japan, Australia, China and Malaysia. As a soloist, he has appeared with a number of orchestras, including the Orchestra da Camera di Firenze, Brasov Philharmonic, Ofunam Philharmonic Orchestra, Tirana Opera House, Cyprus Chamber Orchestra, NSO of Malaysia and, in New Zealand, the Manukau Symphony Orchestra and Auckland Philharmonia Orchestra.